Oscar a beautiful young 7 month Rommy looking for a forever home. Fully Vaccinated,Neuterd,passport and chipped. This gorgeous young pup could be in sharing your life in just 2 weeks (pending homecheck) if you live in Germany,Austria,Belgium,France,Holland or the UK in Jan 2012. 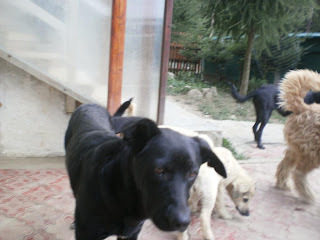 Please contact us if you could offer a foster/forever home to Oscar.